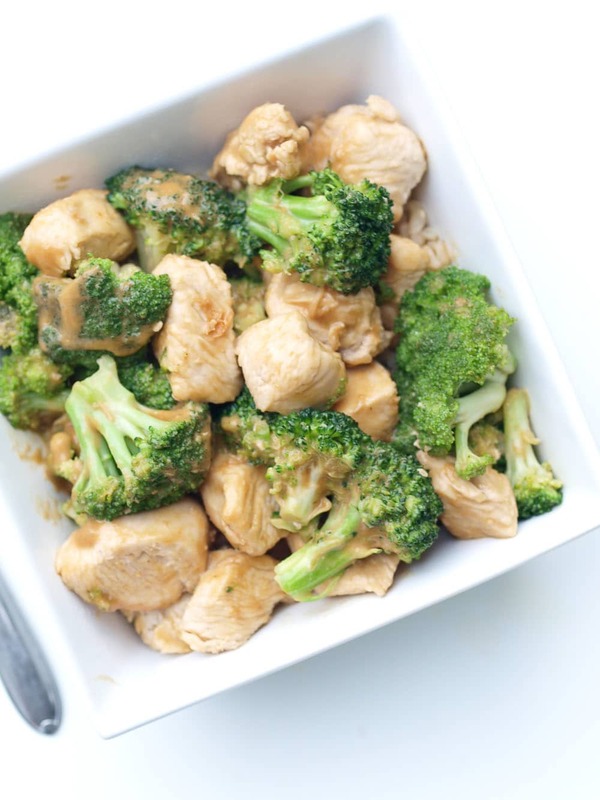 What is startlingly impressive is that you can take the humble vegetable broccoli and a plain jane chicken breast and add a simple sauce to create a healthy, 30 minute meal. Amazing, friends. Amazing. Notice I call this Broccoli & Chicken and not Chicken & Broccoli. Yes, the ratio is a little more broccoli than chicken. That’s how I roll and how I think our dinner plates should be. More plants than meat. Chicken (preferably organic) isn’t nutritionally void, but broccoli has the super-health-promoting phytonutrients that you only find in plants. So don’t be afraid to have Broccoli & Chicken instead of Chicken & Broccoli. Something I’ve been wanting to do, probably for years now, is add “prep time” and “cook time” to my recipes. I almost always forget to time myself and then am afraid I am going to guess wrong at how long it took me. For this recipe, I timed myself. Before I started, I debated what “prep time” included. Does that mean all ingredients are out and ready? Or does that include getting out all of the ingredients? In the end, I started the clock before I had anything out as I figured that would give you the most accurate picture of how long this recipe will really take. This is a 30 minute recipe, and that even included me frantically searching for a few minutes for my kitchen shears that I needed to cube the chicken. Of course they were right in front of my eyes. If you are super speedy and organized in the kitchen, I’ll bet you can clock this in less than 30. We usually have this with brown rice, but have also served it with quinoa and rice noodles. It’s also great all by itself, so if you don’t want to add a grain, that’s okay, too! I hope you enjoy this quick and easy dinner recipe! Note: The peanut sauce is adapted from here. 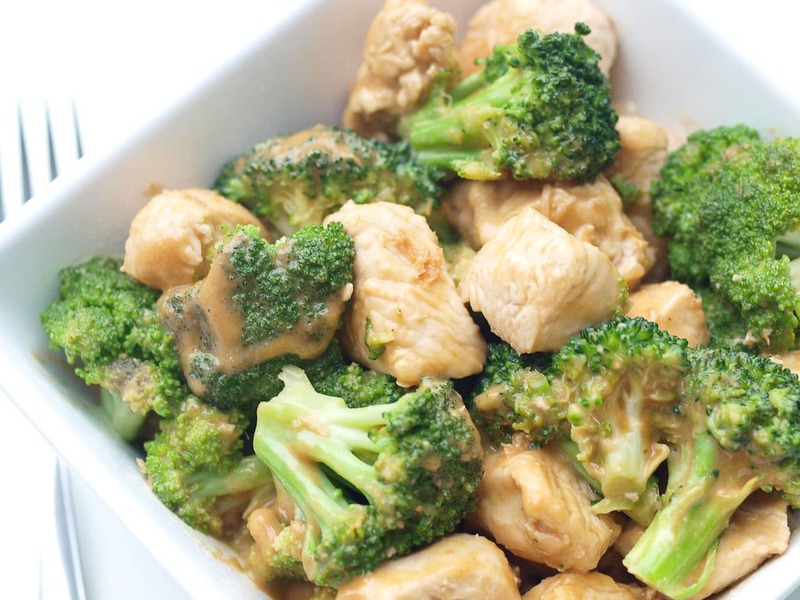 This Broccoli and Chicken with Peanut Sauce tastes incredible served over quinoa or brown rice. To make your peanut sauce, blend the first 8 ingredients until smooth. (If you don’t have a blender, mince the ginger and garlic and then whisk all of the ingredients together very well.) Set aside. Removed the cooked chicken from the pan and cover it to keep it warm. Turn the heat up just a bit and add the remaining 1 tablespoon of coconut oil to the pan. When it melts, add the broccoli and sprinkle it with a little bit of salt and pepper. Toss the broccoli to coat it in the coconut oil and then add a few tablespoons of water. Cook until the broccoli is bright green and crisp tender, about 4-5 minutes. Ahhhhh the peanut sauce! I couldn’t agree with you more – it really does take a meal to the next level. 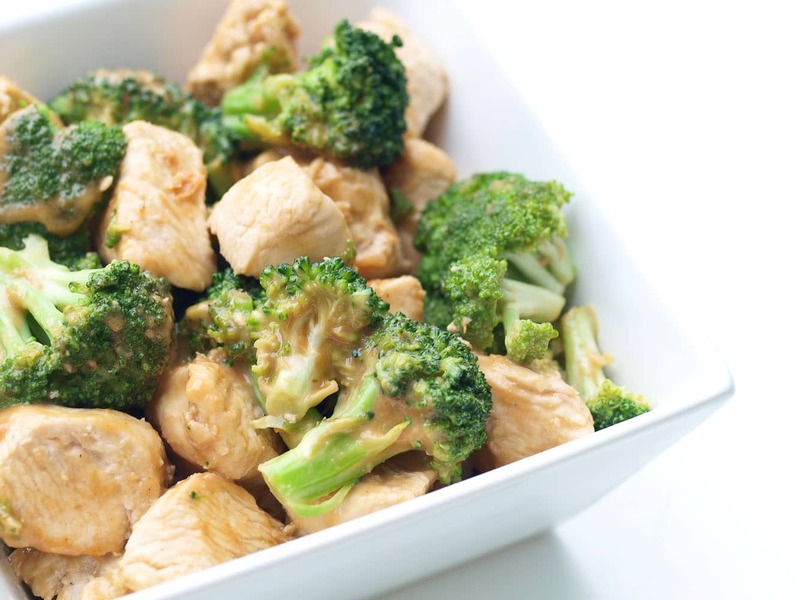 I love the chicken and broccoli combo and now I’m craving this for dinner tonight! I love that you can put it on just about anything and it tastes good! Yum, that sauce sounds great. I don’t eat meat but I could dress up plain seared tofu really easily with this sauce, no marinating required! Tofu or even chickpeas thrown in the mix would be great! This was so good! New family fav. I added a bit of siracha sauce for some kick! Good idea! My kids think black pepper is spicy, so we have to add ours separately if we want that kick. I’m with you though! Made this tonight and it was great! New favorite and will be making over and over again. 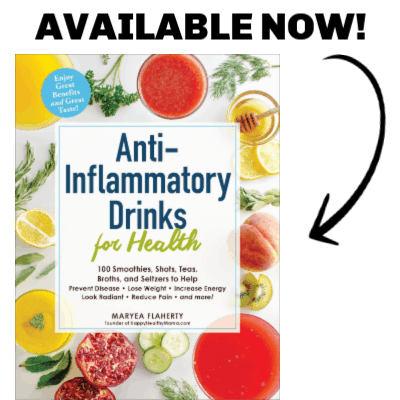 Thank you for a great recipe! Absolutely loved this for dinner tonight! I took a chance and used almond butter because that’s what we prefer in our house, and it turned out great. Big hit with my husband and 2 1/2 year old as well. Thank you! So glad to hear that, Courtney! Made tonight and both kids and husband enjoyed. Might increase broccoli cooking time as we like it a little less crispy around here. I made this for dinner tonight. So, so good and the recipe was easy to follow. Thank you for the recipe! You’re welcome! Thanks for letting me know, Kellie! Have you ever made this with PB2? I’ve made a lot of peanut sauces and none come close to this. While it makes me crazy to see people review recipes with major alterations, I have to admit I made this vegetarian friendly by adding shredded carrots and roasted peanuts, and serving it over quinoa. Triple yum! Help, you didn’t finish the recipe left off with cooking the broccoli then what?